The mixed reality specs scene is certainly getting interesting. Magic Leap released its developer edition glasses earlier this year, there are strong rumors that Apple is planning a launch in the next couple of years, and now we have the nReal Light glasses to look forward to in 2019. While a lot of the finer features of these glasses have yet to be officially announced, recently leaked information includes the fact that they’re going to offer built-in 6-degree-of-freedom (6DoF) tracking. That means they’ll not only work out which way your head is pointing, they’ll be able to track it as it moves forwards, backwards, up and down through space. The makers are quoting a 52-degree field of view, so you won’t get a whole eyeful of mixed reality magic at once, but it’s about on a par with where other similar hardware is at the moment. Graphics resolution is set at 1080p. What really stands out about the nReal Light MR glasses is the design and lightness. They weigh in at just 85 grams (0.19 lb) and look almost like a regular pair of sunglasses, if you squint a bit. In fact they’re not too dissimilar to the Snapchat Spectacles already on the market, though the Snapchat specs don’t offer any kind of augmented reality trickery, and just focus on recording video. In this case a lot of the processing is offloaded to a separate device – smartphone or laptop – via a USB-C cable. Exactly how this works and the sort of experiences you can expect are some of the details we’re waiting to hear on, but voice control has been mentioned. If you’re a little confused about what mixed reality is, it’s essentially digital graphics overlaid on top of the real world in a way that makes it look like the artificial elements are actually part of the scene in front of you. Their position should stay fixed, and effects like shadows and lighting should be as realistic as possible. Plenty of companies (including Apple) use the term augmented reality (AR) instead. Others prefer to use the term AR to refer to graphics that are pasted into the user’s vision (like pop-up alerts from your phone, or navigation directions) that don’t necessary look like part of the world in front of your eyes. 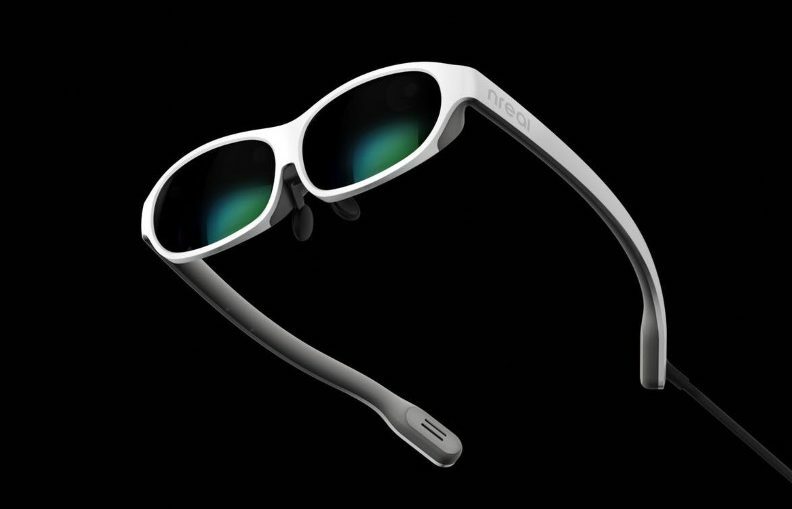 The nReal Light glasses will go on sale in the first half of 2019 for US$1,000, with a content partnership promised from Xiaomi.